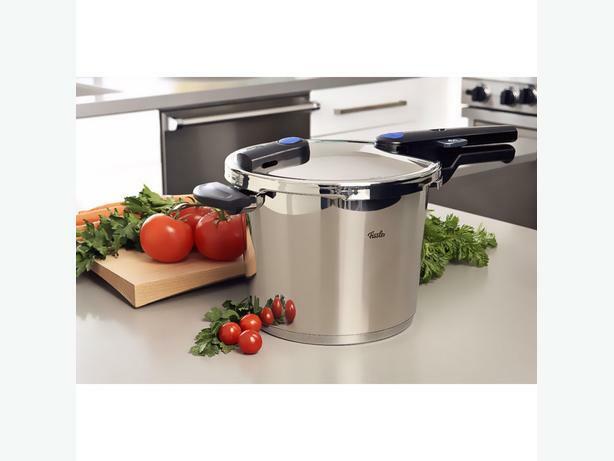 Fissler is a high end brand for pressure cookers. Selling my mint condition 6 quarter Fissler Vitaquick pressure cooker. See details at the link. Regularly sells $550+ tax and is now on sale for $340+ tax, and I am selling mine for $165.